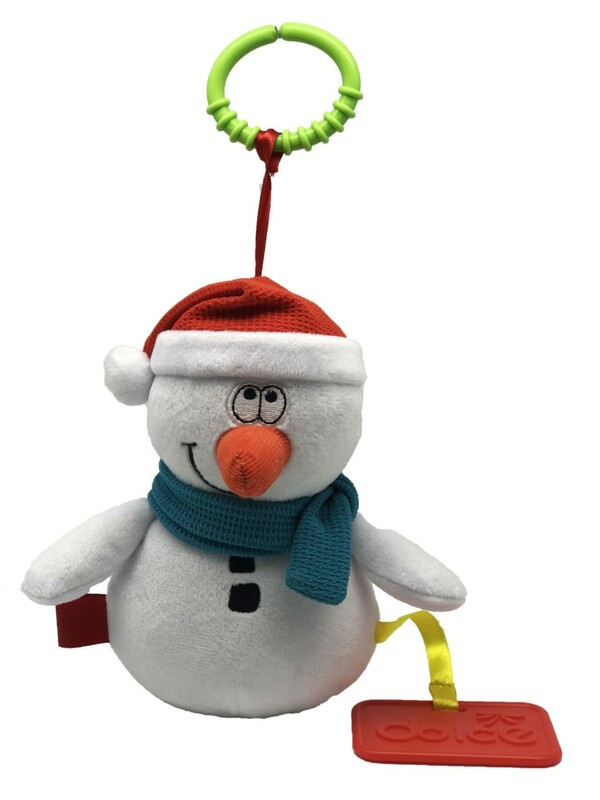 This lovable snowman is the ultimate toy for cuddles and learning. 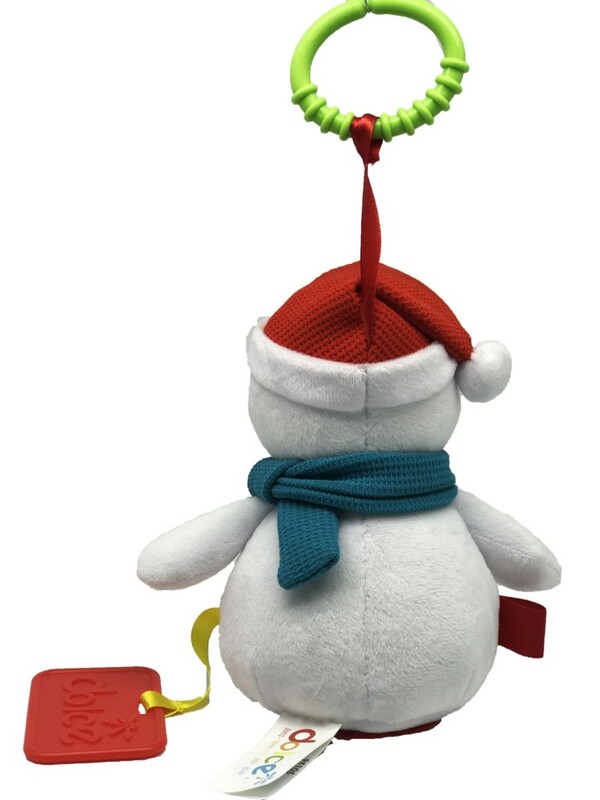 It has a rattle, crinkle scarf and mirror. 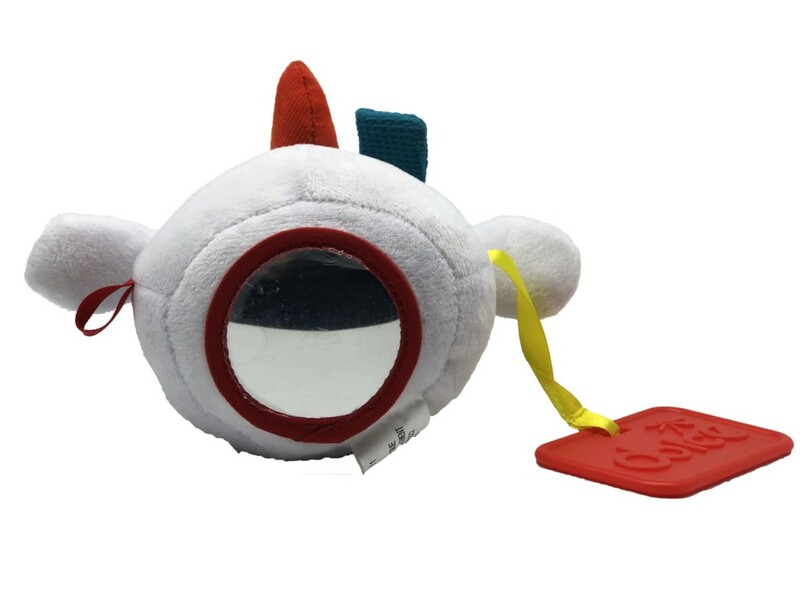 It also has extremely soft textures and a bean bag interior which makes it perfect for cuddles. 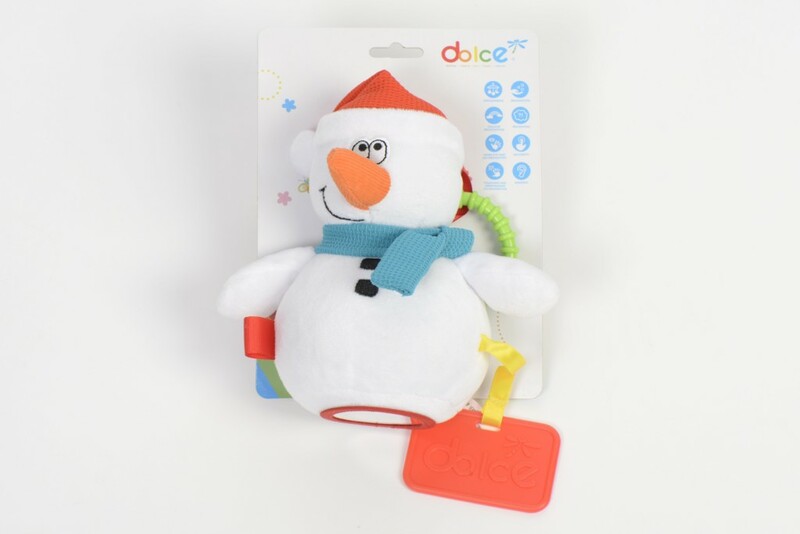 There is also a teether connector ring so that the snowman can be played with in the hand or hung from a cot or buggy. 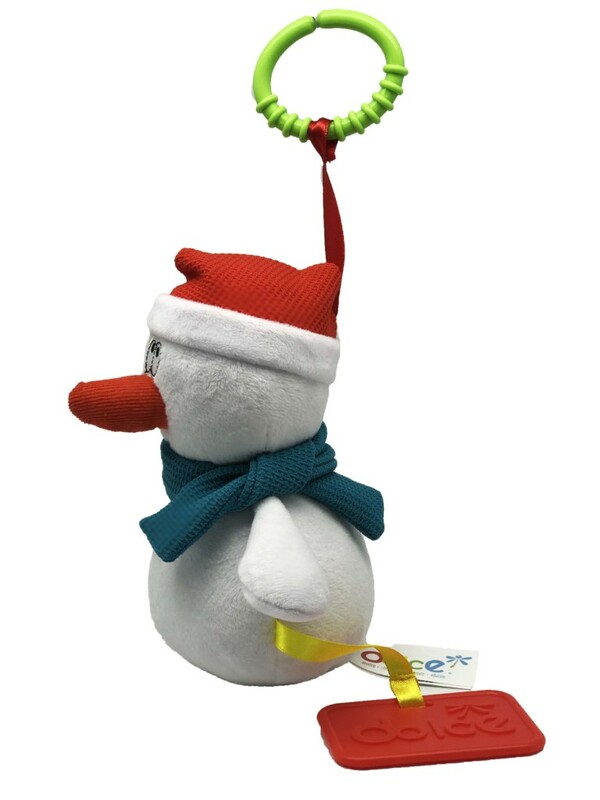 • Sounds: Children will delight in creating sounds through using the rattle. 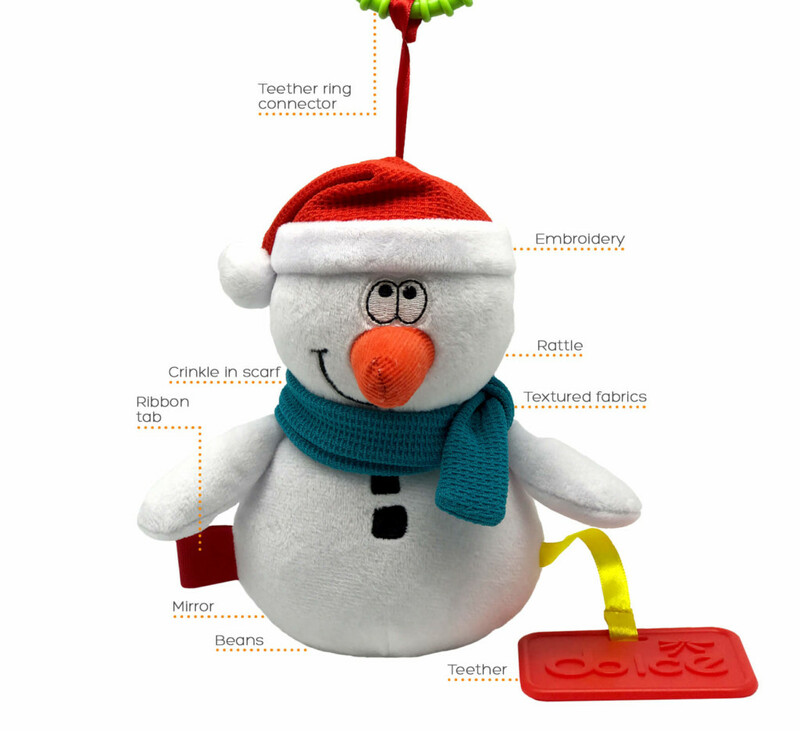 • Helps to connect motor skills with auditory learning by rattling.